The Eagle County Historical Society is dedicated to the recording and preservation of local history through educational programs, publishing and maintenance of a museum and archive. 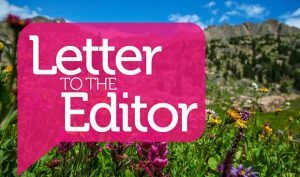 Native American culture, mining, ranching, agriculture and recreation have played important roles in our past and continue to impact Eagle County life. For more information, visit www.eaglecountyhistoricalsociety.com. Editor’s note: “Booco” is the correct name for the wildfire recently north of Wolcott. Some years ago, somebody changed the spelling on a USGS map, hence the “Bocco” misspelling. If you look in property records, the “Booco” subdivision in Minturn is spelled correctly. 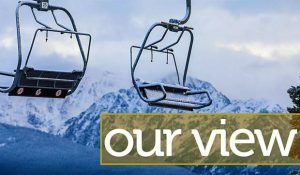 Mountains, Men & Memories is a column in the Vail Daily written and researched by Kathy Heicher, president of the Eagle County Historical Society, providing a front row seat to Eagle County’s history. The Booco wildfire that recently blazed north of Wolcott created smoke, worry, local headlines and probably some curiosity about just where its name originated. 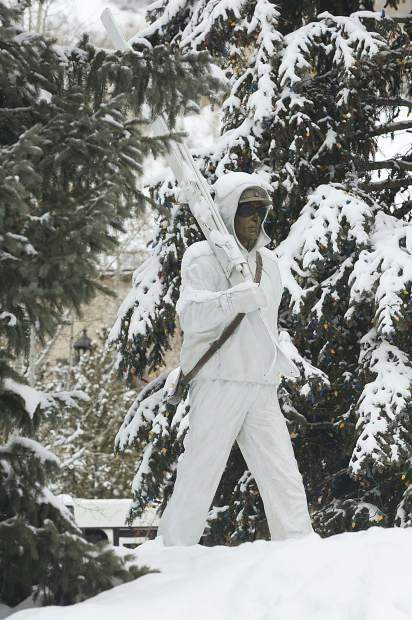 Indeed, the Booco name has deep roots in Eagle County. William “Billy” Booco was the grandson of a Frenchman who came to this country to help liberate the colonies during the Revolutionary War, and then chose to stay. Billy, his wife Margaret and their seven children came west from Indiana in 1879, lured by the promise of silver in the mountains near Leadville. Like many pioneers, when the fortunes of the mines ebbed, Billy turned to ranching. He and his oldest son, George, homesteaded property on what is now Minturn. That’s where the bear incident occurred. As recounted decades later in the Holy Cross Trail newspaper, Billy Booco one day discovered a beehive in a tree near his ranch. Pleased with his sweet discovery, Billy smoked the bees out of the hive, cut down the tree, and headed back home with the honeycomb. 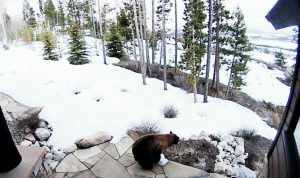 He was unaware until he reached his homestead that a honey-loving bear had followed the sweet scent. The bear showed itself somewhere between Billy’s corral and cabin. Panicked, Billy attempted to escape the bear by quickly climbing to the high crosspiece between the wooden posts holding the corral gate in place. There Billy lay stretched along the high beam, his legs dangling. Unfortunately, Billy’s boots were smeared with honey. Standing on its back legs, the bear could almost touch Billy’s toes. Fearing that he would lose his balance if he attempted to draw his feet up higher, Billy yelled for his wife to bring a gun from the house. Margaret Booco shared her husband’s pioneer courage. She grabbed a rifle from the pegs of the cabin wall, commenced yelling, and ran out toward the bear. The startled animal fled, which was fortunate, because when Billy climbed back down to the ground, he checked the rifle and realized that it was not loaded. For decades, Minturn residents would gleefully recount the story of this brave pioneer woman defending her man with an empty rifle, speculating that the animal had never seen anything as fierce as a protective woman wearing a long skirt. Billy and Margaret had lived in “Booco” (Minturn’s first name) just a few years when the Denver & Rio Grande Railroad came calling in 1887. Competing against the fledgling Midland Railroad in a race to reach the mining camps of Aspen, The D&RG was anxious to lay down tracks through the Eagle Valley. The Booco homestead was a prime location for a railroad depot and roundhouse. The elder Boocos sold their property, which briefly became known as “Booco Station.” The D&RG eventually named the stop “Minturn,” after a railroad executive back East who never actually set foot in the mountain community. 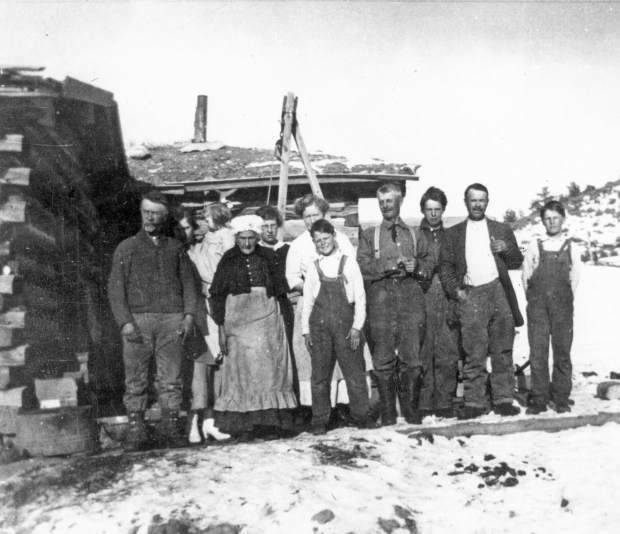 Billy and Margaret Booco located a new homestead near Wolcott on Alkali Creek — near the site of the recent fire. A nearby mountain became known as “Booco Mountain.” The name stuck, although somewhere along the line a careless mapmaker changed the spelling to “Bocco.” Several of the Booco children settled nearby. George Booco stayed in Minturn, investing in mines and selling real estate, and is credited with founding the town. Billy and Margaret became prominent ranchers at Wolcott. They are buried in the small cemetery at Edwards, which is visible from Interstate 70. The Booco family spread out to the ranching communities of Bond, McCoy and southern Routt County. Several Boocos rest in the McCoy cemetery. 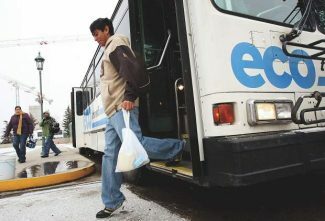 The Boocos definitely played a significant role in Eagle County history. The Booco name will survive long past the wildfire season. Kathy Heicher is the president of the Eagle County Historical Society and can be reached at kheicher@gmail.com.